Circa 1936-1951: It is the Vintage Fiesta original green that was the color that swept the nation and defined a decade. 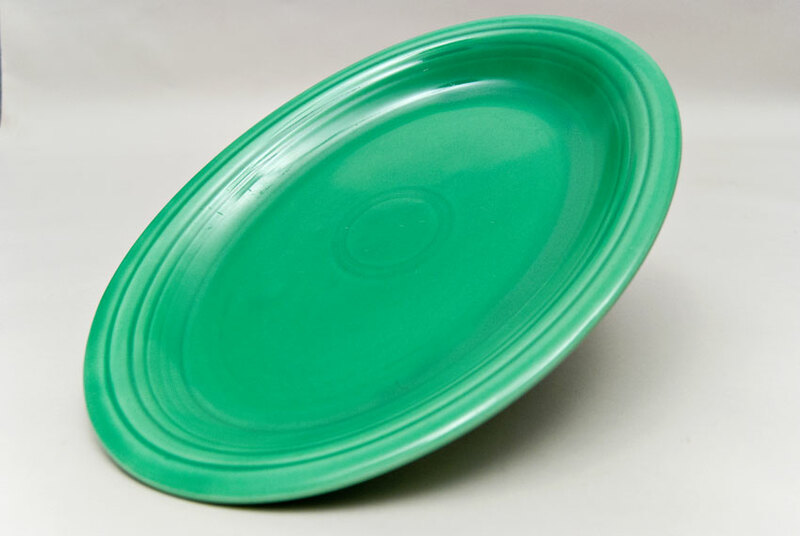 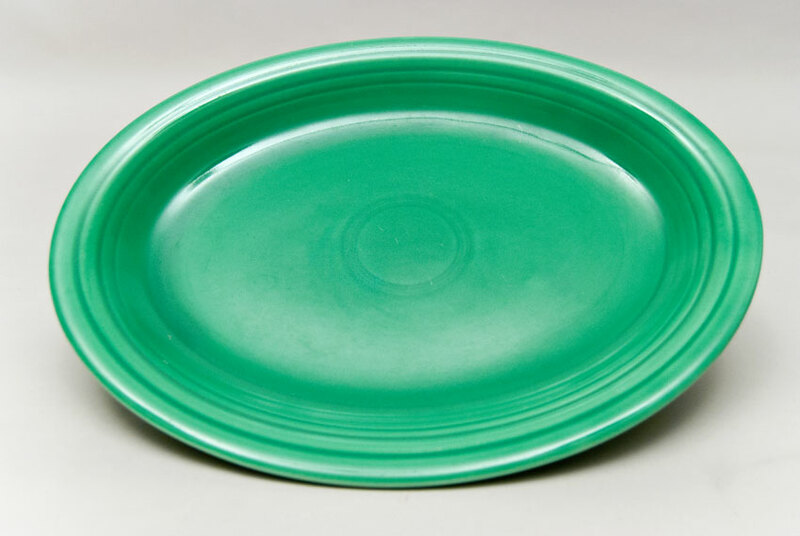 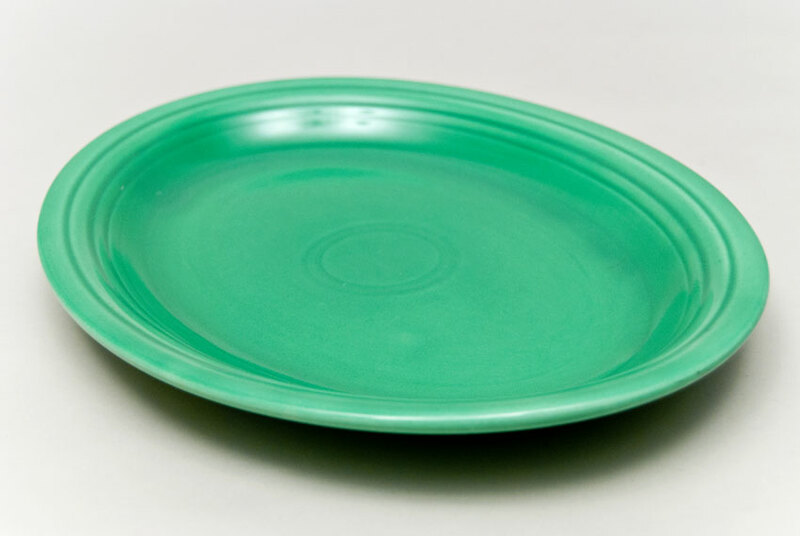 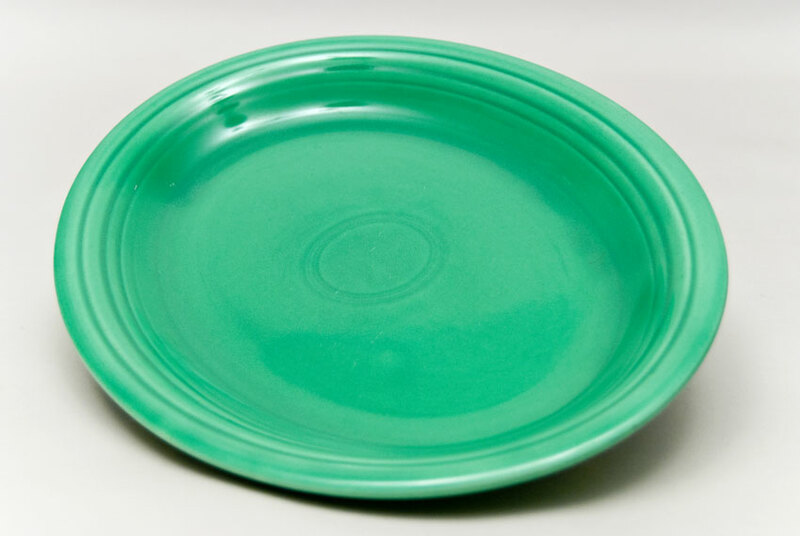 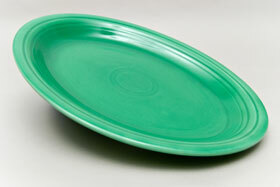 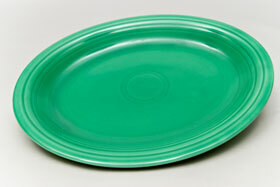 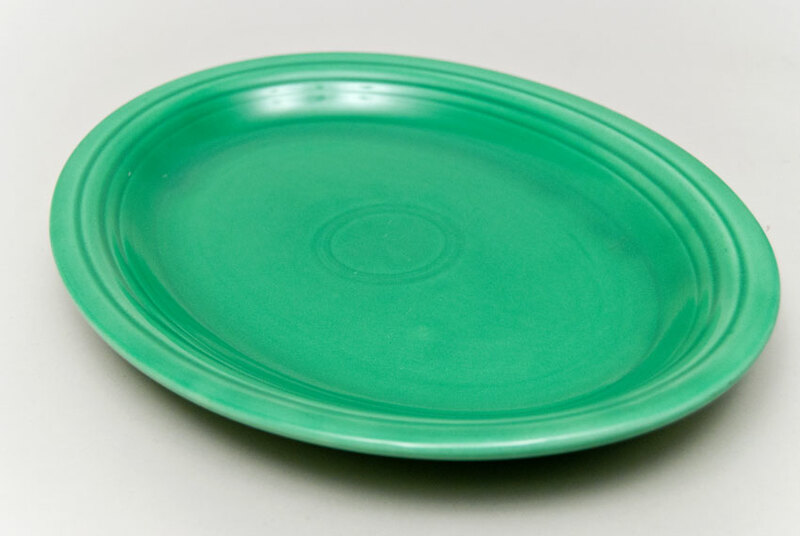 Here is the classic original green on the Vintage Fiesta platter is in excellent condition. 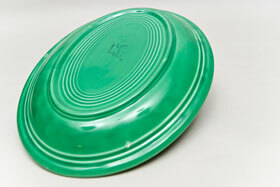 Without chips or cracks or repairs and very little sign of use. Glazed stamp on the back "GENUINE fiesta HLCo USA". Measures 12 1/2" x 9 7/8"